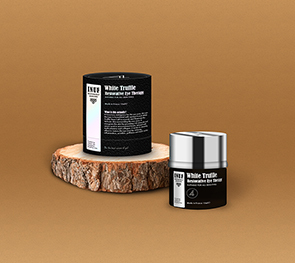 Instead of their original raw and organic packaging, they are looking for a new packaging design that can look luxury and yet keeping their brand image. 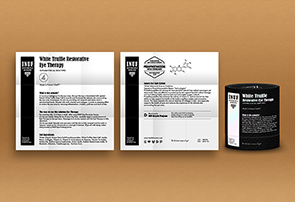 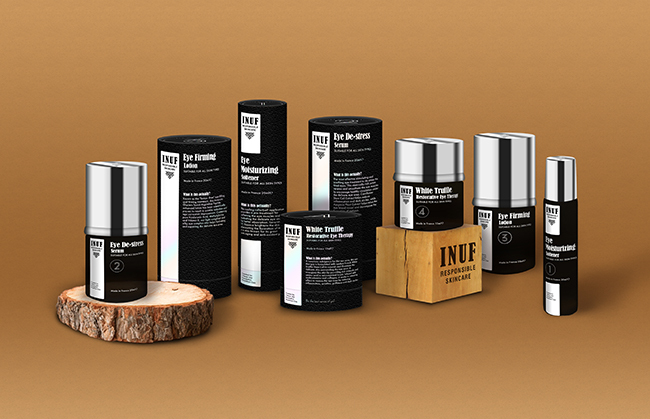 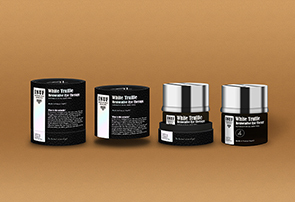 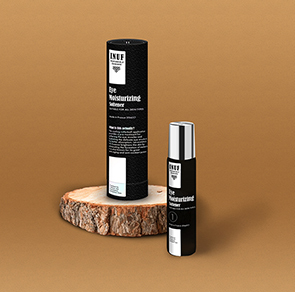 We designed the set of packaging by playing around with different texture of materials. 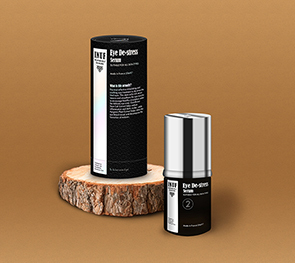 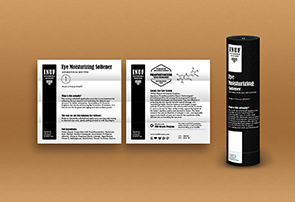 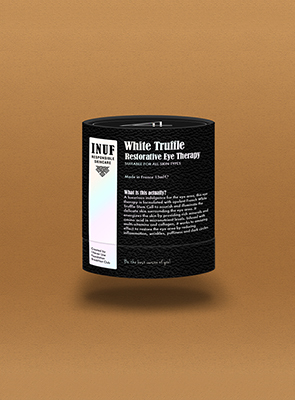 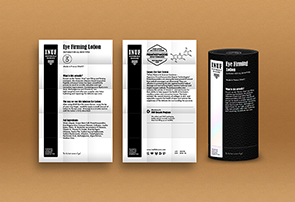 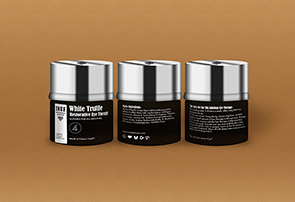 They used to have brown carton paper box or tube for their packaging, but for this eye care series, we suggested a leather like black paper with white pearl foil lamination to create a delicated feeling. 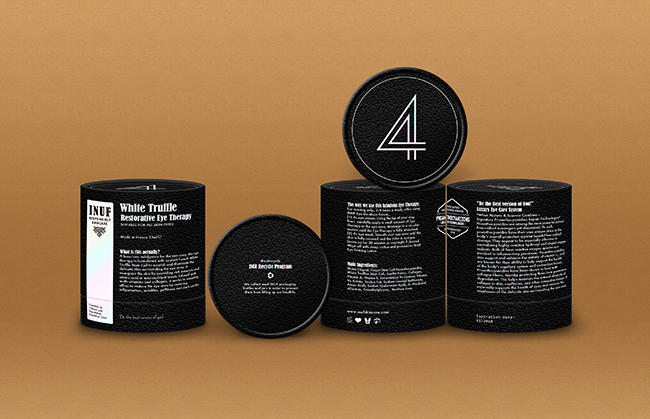 Other than that, we've also had custom-made typography for the numbering of different products at the top of the packaging. 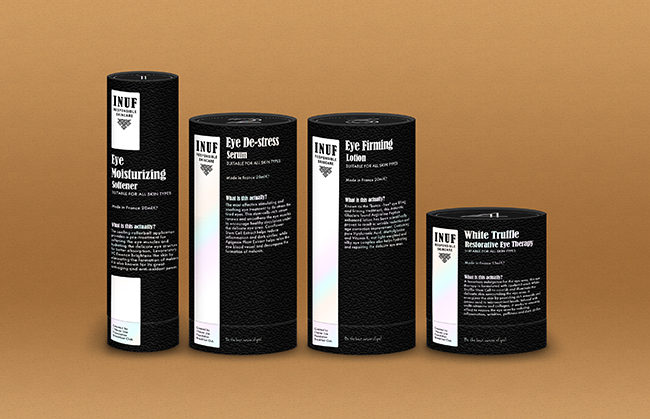 For the bottle, we've chosen a matt finishing black colour coating to unite the deluxe feeling of the packaging.